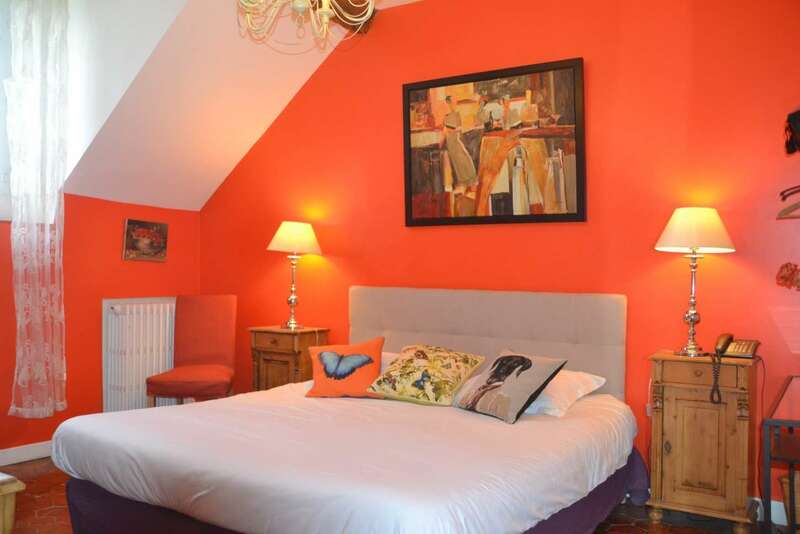 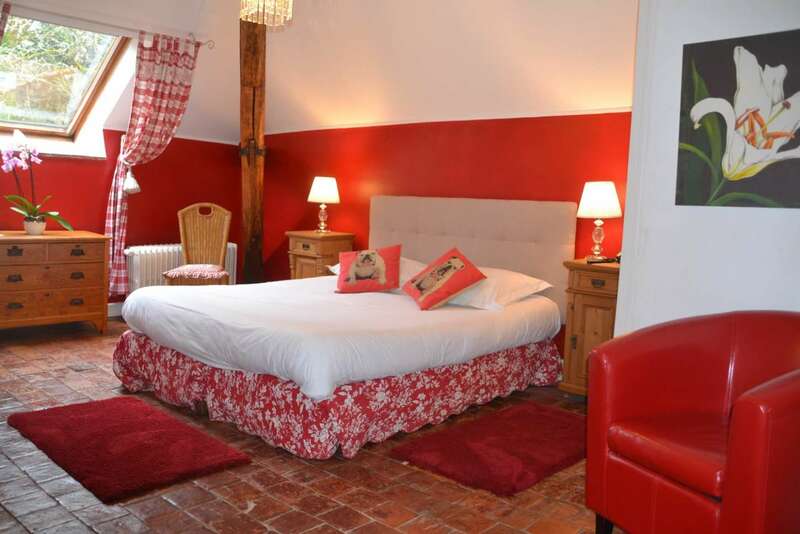 The three ground floor bedrooms have original fireplaces, wooden floors. 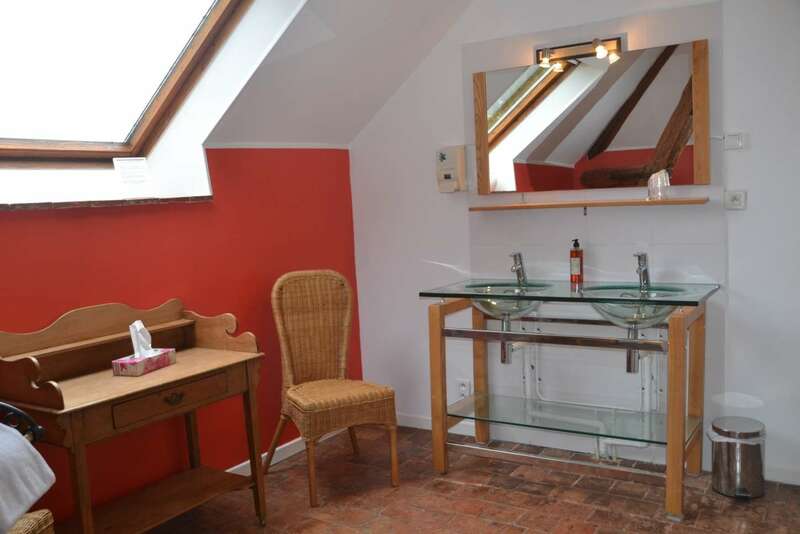 Two rooms open out onto a private terrace where you can have breakfast. 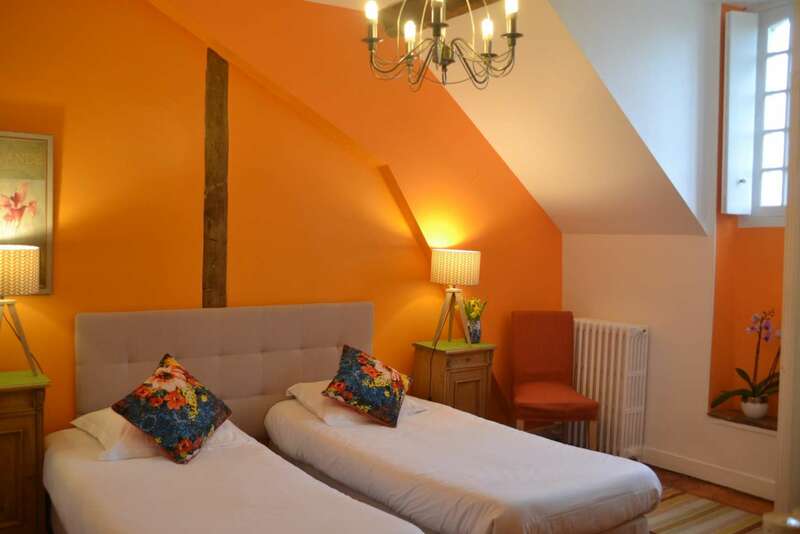 All rooms have telephone, luggage rack, flat screne tv, air conditioning fan, welcome tray, hairdryer. 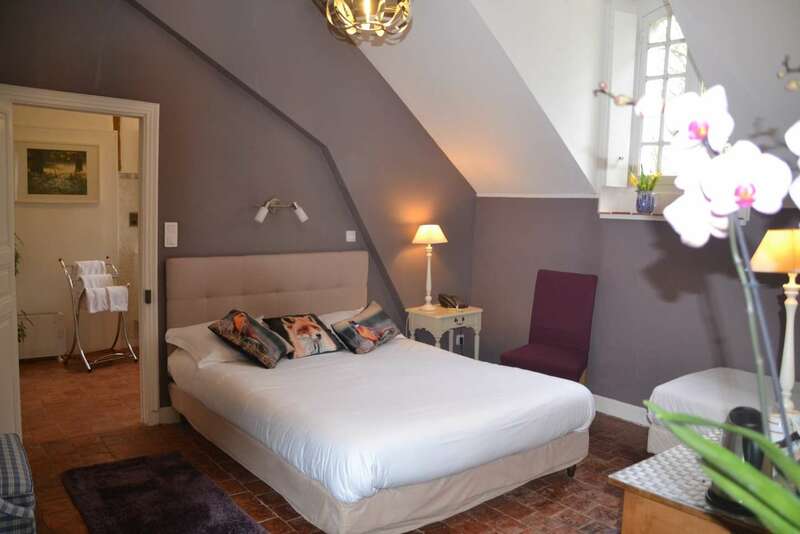 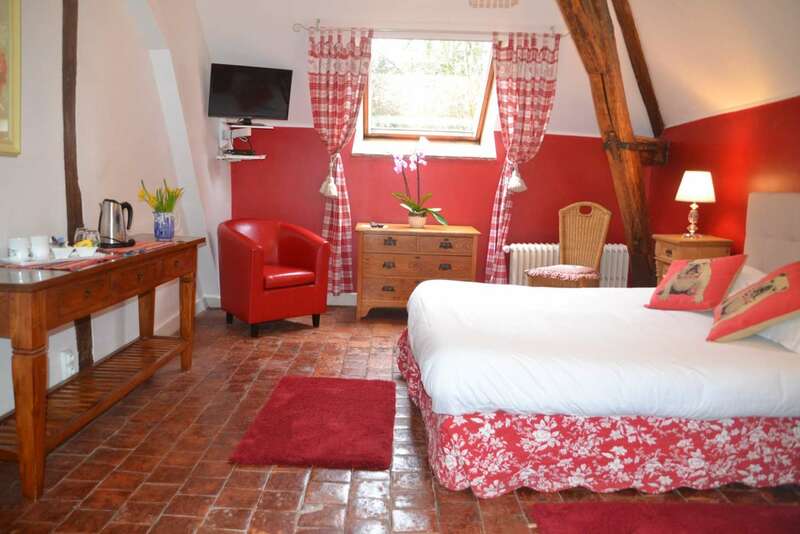 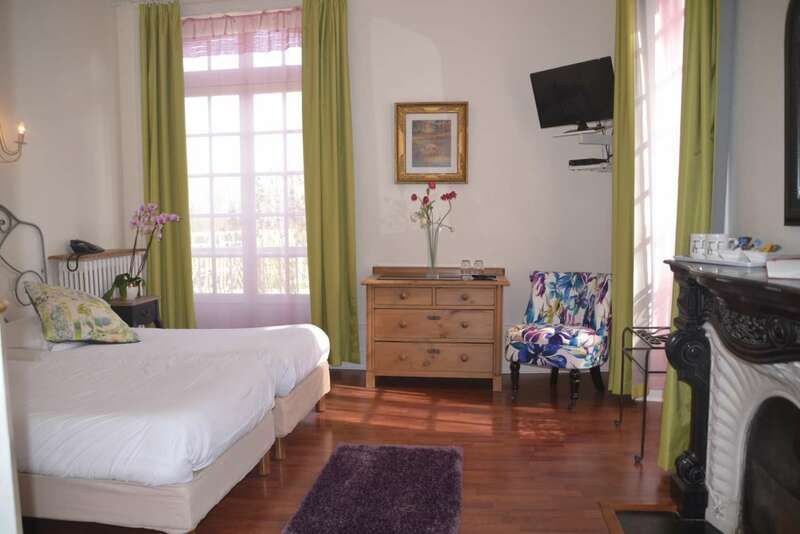 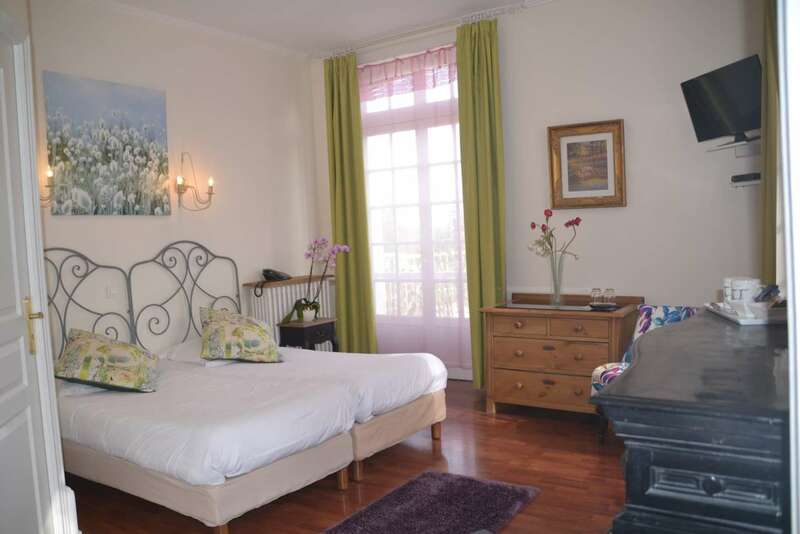 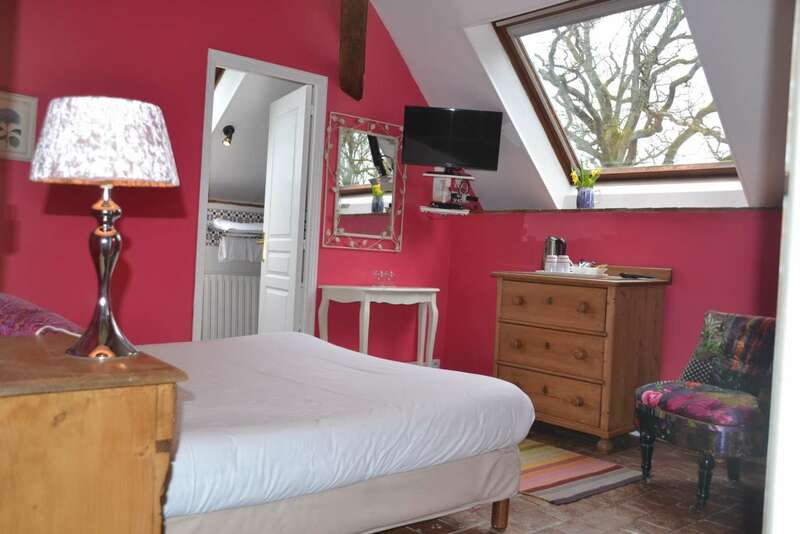 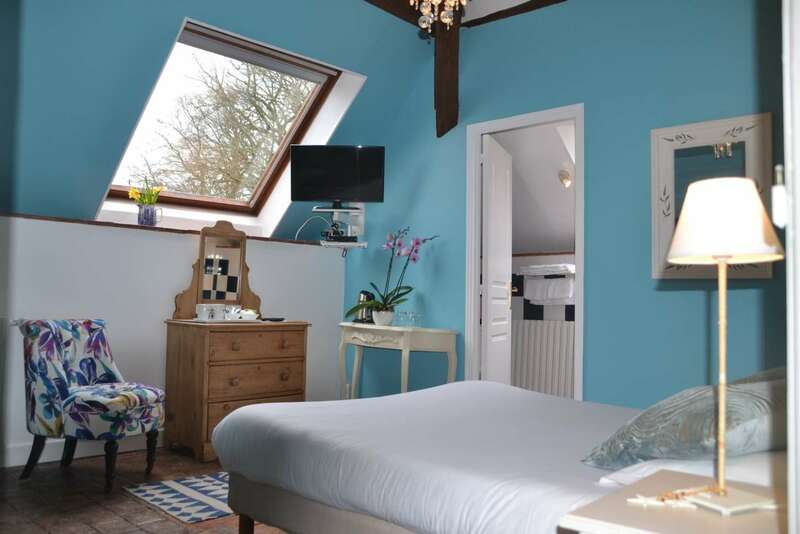 Les Mésanges has 2 communicating rooms ideal for a family. 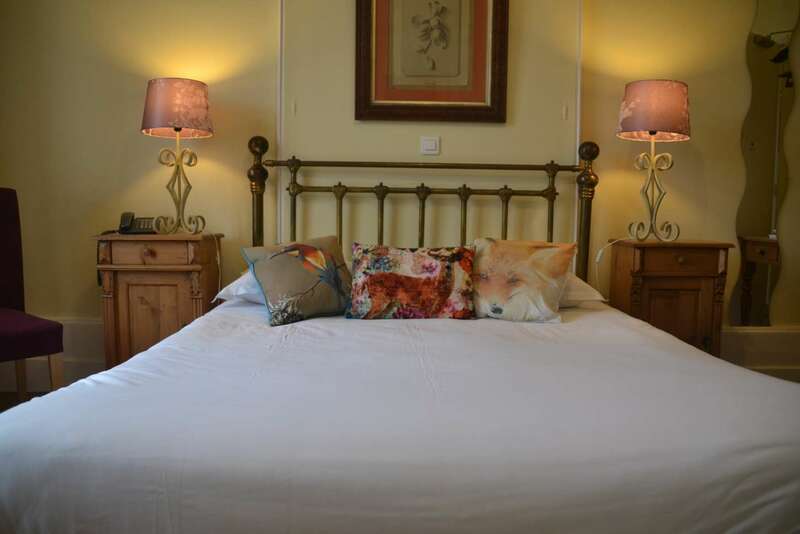 One large bedroom with king size double bed and tv. 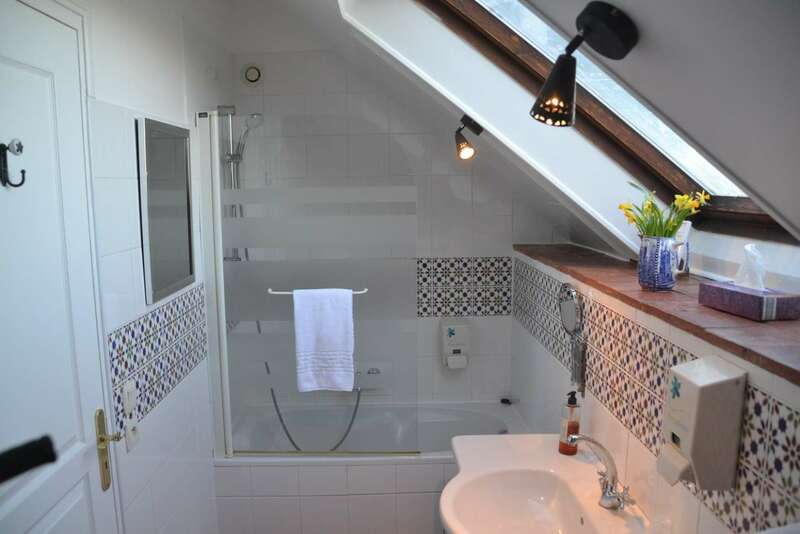 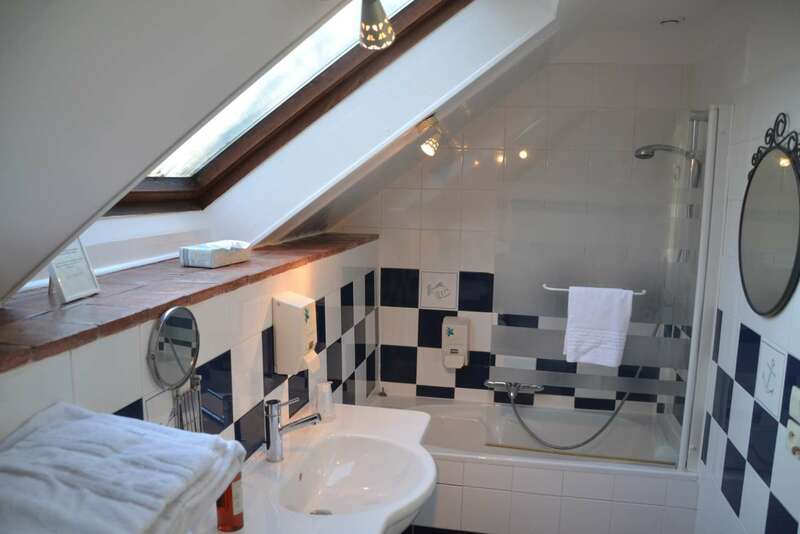 A small room with twin beds and a large bathroom with shower. 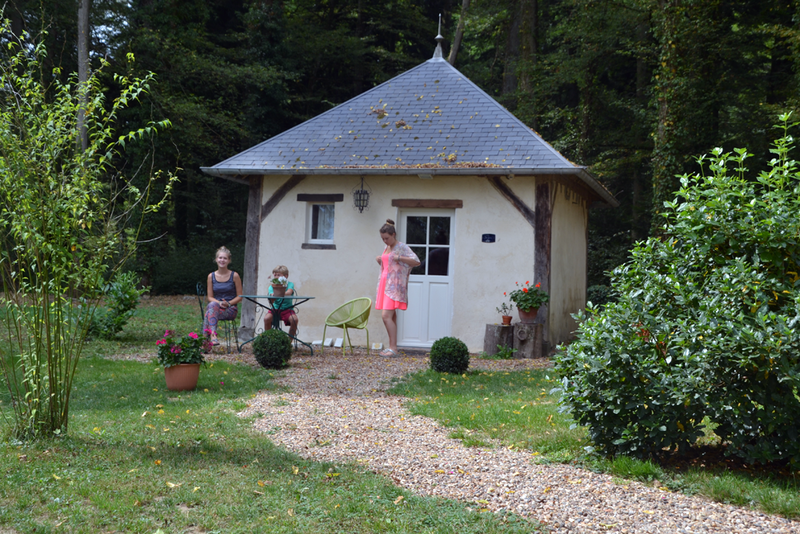 Les Mésanges has accessibilty for people with reduced mobility.